Manufactured in France from 1952 until 0. 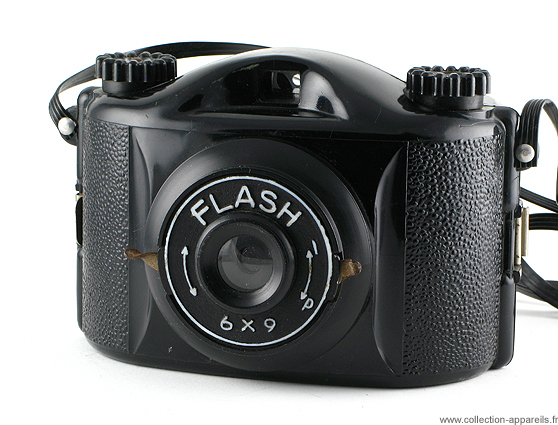 This plastic camera does not have anything which justifies its name of flash! Very basic, this camera did not have almost any success vis-a-vis the competition of Ultra Fex and Photax. Its insufficiently thick plastic let pass the light and required the use of not very sensitive and orthochromatic films. According to Vial, they are the merchants of toy who sold this camera. Its fragile matter could not resist between the childish hands and from now on this camera is rare.